18-year-old Maedeh Hojabri found herself confessing to moral crimes on Iranian state TV after authorities clamped down on her Instagram account, which featured videos of her dancing to pop songs by mainly western artists. 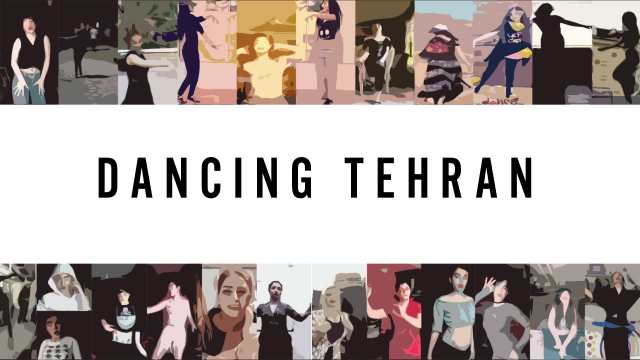 Accused of encouraging the usurpation of cultural norms, Maedeh inspired legions of supporters to take to the streets and record their own videos of themselves dancing under the hashtag of #dancing_is_not_a_crime. Jos de Putter is a documentary film maker and creative producer based in Berlin. His works have received a slew of awards and premiered at film festivals across the world, including the Berlinale, Toronto International FF and IDFA. In 2005, Jos was honored with a retrospective of all his films in the National Gallery of Art, Washington, at Festival dei Poploi in Florence and his experimental short Passers By was shown at the MOMA, New York. In 2013, he started producing webdocs for Dutch online news site 'De Correspondent', and more recently for Dutch public television network 'HUMAN'. Jos has been producing, editing and presenting short documentaries ('webdocs') for online platforms since October 2013. The webdocs offer serious and innovative visual journalism, provide crucial context into the stories they share and allow viewers to engage with them on a personal level. They distinguish themselves from current online and print journalism, creating an independent reflection of the news. Since 2013, over 70 short webdocs have been produced, winning numerous awards at international festivals.